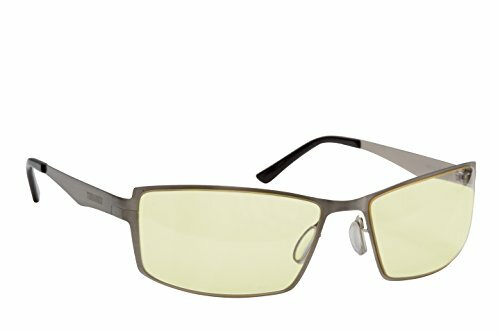 Terramed Sparrow Migrane Computer Office Glasses Anti-glare,blue light,Minimize digital eye strain /Perform better, target objects on screen easier, prevent headaches by Terramed at Home Entertainment Centers Online. MPN: 2345. Hurry! Limited time offer. Offer valid only while supplies last. MADE IN USA. FDA registered . Terramed eyewear patented technology designed to protect your eyes - High Energy Blue Light emitted by electronic devices such as computers, tablets, and smartphones have shown to increase the risk of accumulated damage to the retina, cataracts, sleep disorders and macular degeneration. Terramed eyewear made of ultra-lightweight polycarbonate to minimize pressure on your face and head.erramed eyewear protects your lenses with a hydroleophobic hard coating that is scratch resistant, hydrophobic (water repellent), and debris resistant. Reduce Eye Strain - minimize headaches, dry eye and eye fatigue with added amber lens contrast, anti reflective coatings and patented focusing power . If you have any questions about this product by Terramed, contact us by completing and submitting the form below. If you are looking for a specif part number, please include it with your message.